A building assessor is an entity that provides a building assessment service. A building assessment service is the doing of building assessment work. Building assessment work is preparing and providing an energy efficiency certificate under the Building Act 2004; or an energy efficiency statement; or a statement, certificate or other document prescribed by regulation. 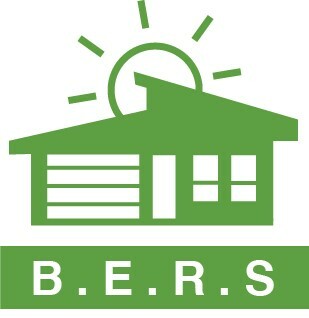 Energy efficiency certificate is defined under s139 C of the Building Act 2004. The Class B licence authorises the following building assessment work, based on plans of a building: preparing an energy efficiency certificate under the Building Act 2004; or preparing an energy efficiency rating statement. The NatHERS CPP41212 Certificate IV qualification is the qualification required to eligible to apply for a class A licence. Education In Building is the leading Nationally Recognised provider of NatHERS assessment training courses for House Energy Raters. We offer pathways to obtain this formal qualification throughout Australia. This course allows you to be a fully qualified NatHERS accredited House Energy Rater and can be completed entirely On-line. Understanding how to use energy rating software is an integral part in the completion of the Certificate IV in NatHERS assessment qualification. EIB is the only Nationally Registered training provider that includes Energy Rating Software training in a choice of AccuRate, BERS Pro or FirstRate5 in the NatHERS course. Who can apply for a Class B licence? Have demonstrated interpersonal communication skills. If you are uncertain about which NatHERS Certificate IV mode would suit you best, contact EIB and we will advise you on the most beneficial and cost-effective pathway to achieve your qualification to become an Accredited Assessor. Facts about the Class B Building Assessor course…. At Education In Building we believe that formal training should be affordable. As such, we offer our lowest price promise. To ensure you are given the most suitable and economical fee possible we will give you an individual written quote. Our price includes training in any one of the software tools FirstRate5, Accurate or BERSPro. In the unlikely event, you receive a lower priced written quote on the identical training, we will beat it. The Recognition of Prior Learning price, above, is based on RPL of the full qualification. The reason for the low price differentiation is due to the fact that RPL is an assessment only pathway. In other words, the training component is not provided where a learner is applying for RPL. The total price per student may vary from the prices specified above, in instances where a portion of the qualification (measured in Units of Competency) is completed via a combination of Learning Pathway and RPL. We do not accept upfront payments of more than $1,500. To get your enrolment underway, simply complete the “Enquire now” form below and we will send you an Information book with all the details about the NatHERS course or download the “Request a quote” form and by providing us some additional details we can send you an individual quote. In online learning, course materials are presented and delivered from the internet and are accessible via computer, tablet or handheld devices. Upon successful application to the course you will receive a username and a password in your email address which will be used to log in to our Learning Management System. Courses are presented in various multimedia formats (Audio, video and graphical slides) to enhance your learning experience. It will also include quizzes that need to be passed for you to complete the course. Once the course has been completed you will then be issued with your certificate. Education In Building offer this Nationally recognised qualification in a combination of online, self paced learning training. The materials will direct you to undertake your own research into key concepts, information, requirements, methods and skills, and will provide starting points for this research where useful and practical. They contain research activities to allow you to consider and apply key concepts, information and requirements and to practice important methods and skills. Where appropriate, these activities direct you to investigate or make use of information and resources that are available at your workplace or general environment. The materials contain content of relevance to assessors in all States and Territories and summarises the key differences between the different jurisdictions, but not describe or list every difference in detail. You are expected to research the requirements within the jurisdictions within which you typically work. Education In Building includes software training in this course. No additional fees apply. Be aware that other providers of this course do not include software training in their course. Undertaking the software training with Education In Building you will receive a Nationally Recognised Qualification which is the requirement of the NatHERS administrator, not simply a Certificate of completion that other non registered providers offer. Why not simply get it right the first time? We will recognise your current skills through recognition of prior learning (RPL), where possible. We recognise that most participants who wish to gain these formal qualifications have lots of life skills and experience in their current field of work, which is why we will provide you with a free quote on what you can be credited for in recognition of your current skills and experience, what you would need to do to obtain the qualification, how you would do it and how much it would cost. The objective of the RPL assessment process is to ensure that an individuals prior learning achieved through formal and informal training, work experience or other life experience is appropriately recognised which enables you to forego training and move directly to having your skills assessed, thus avoiding the need for unnecessary training that brings with it additional costs, including time and effort. Our RPL skills assessment service doesn’t expect you to repeat learning that you have attained through work/life experience or prior study if it covers the same content. We offer the RPL assessment process to ensure that you may only have to do gap training in the areas you haven’t done before. This can save you time and money! Understanding how to use energy rating software is an integral part in the completion of the Certificate IV in NatHERS assessment qualification. EIB is the only Nationally Registered Training Organisation that includes Energy Rating Software training in a choice of AccuRate, BERS Pro or FirstRate5 in the NatHERS course. To become accredited as House Energy Rating assessor you need to obtain a Nationally recognised certificate from a Registered Training Organisation. These are the units required by the NatHERS administrator to become accredited as a House Energy Rating assessor. Don’t get caught by other providers who only offer a Statement of Completion…. check to see if you will be accredited to use the software with the NatHERS administrator. 2 day Basic and intermediate courses will not allow you to become an accredited assessor. It is recommended when undertaking this training you have two display monitors. Following the successful completion of this course you will be awarded a Nationally Recognised Certificate IV and a Statement of Results bearing the unit codes and software tool you were assessed against. Awards are issued by Education In Building. Credit Transfer is a system whereby successfully completed units of identical study contributing towards a qualification can be transferred from one course to another. Complete the Enquire now form below and we will send you an Information book with all the details about the Class A Building Assessor course or download the Request a quote form and by providing us some additional details we can send you an individual quote. Units of Competency for Class B & NatHERS …. This course contains 17 Units of Competency. Click to Show. Do you have further questions about the NatHERS course?